Infusing vinegar with flavor - simple! When we arrived for vacation at our house in Rhode Island, the chives were in full bloom. Chives are a favorite perennial herb, coming back each spring better than the last spring. The flowers, like all herb flowers, are edible and can be used in cooking and on salads. 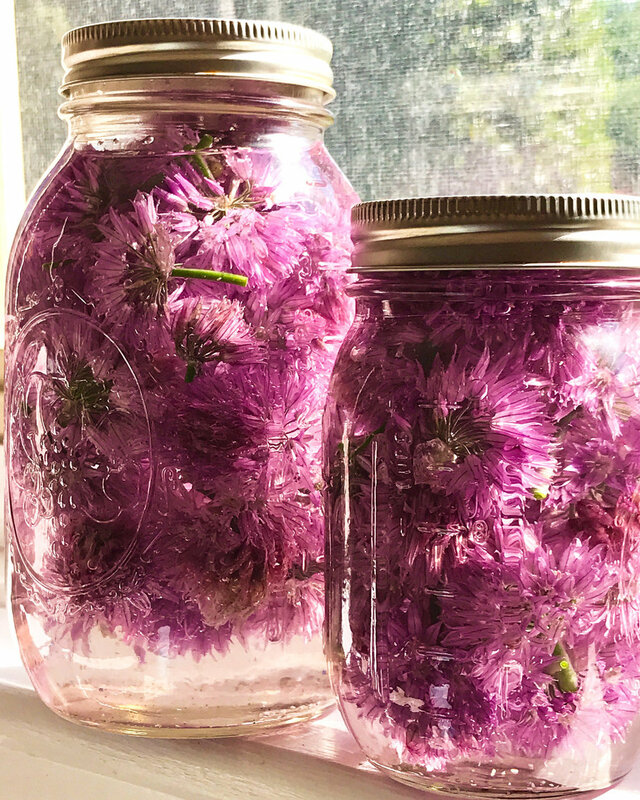 This year we had an abundance of flowers, so there were plenty for salads and plenty for infusing in vinegar. For chive flower vinegar I use the most basic of vinegars, distilled white. Of course, you can use champagne or white wine vinegar but there is really no need. Save your pennies on this one and go with the plain old white variety. Infusing vinegar is not an exact science. Pretty much any proportion of ingredients imparts a chive flavor. The recipe is more a method. The same method can be used with any herb flower or combination of herb flowers. So, get creative and enjoy! 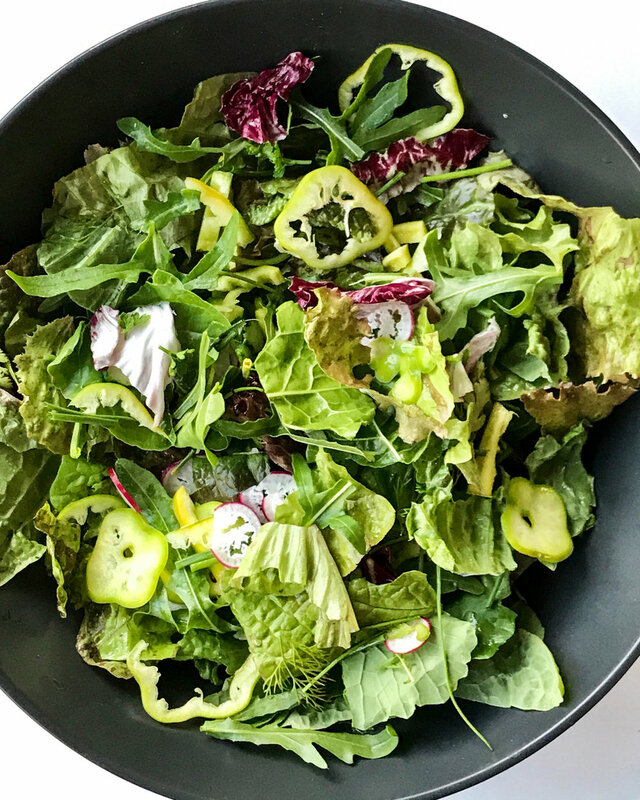 I am including a simple vinaigrette recipe that you can use on a salad, of course, or roasted veggies. Gather chive flowers. Carefully rinse in cool water and leave to dry on a kitchen towel. You don't want the flowers to dry out - just not be wet. Wash and sterilize a lidded jar. I use a ball canning jar. You can use any size jar or multiple jars - it depends on how many flowers you have and how much vinegar you want. Put the flowers into your jar. I like to have the jar 1/2 to 3/4 full of flowers. More flowers means more flavor. Pour room temperature vinegar into the jar until the jar is full. Put on lid and give the whole thing a good shake. Leave in a sunny place for about 2 weeks. Shake the jar daily. Pour the mixture through a strainer. Discard the flowers. Pour your finished vinegar into a sterilized bottle or 2. It is recommended to store any infusion in the refrigerator. That is it! You have a flavored vinegar for using yourself or gifting. You can use it to make the following vinaigrette. Put all the ingredients in a lidded jar. Use on salad or roasted veggies.